Getting an education does not come easy for everyone. Situations that we cannot control, such as family illness or relocating for employment, impact many individuals’ academic progress. 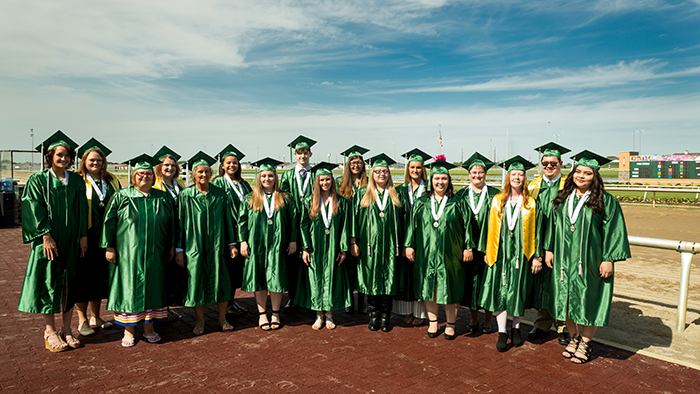 In 2010, Goodwill opened The Excel Center®, a public charter school for adults who want to earn an Indiana Core 40 diploma. The Excel Center is designed to address educational barriers and to accelerate coursework and career readiness through academic and life coaching, free onsite child care for young children, transportation assistance, flexible scheduling, accelerated (8-week) terms and year-round classes. 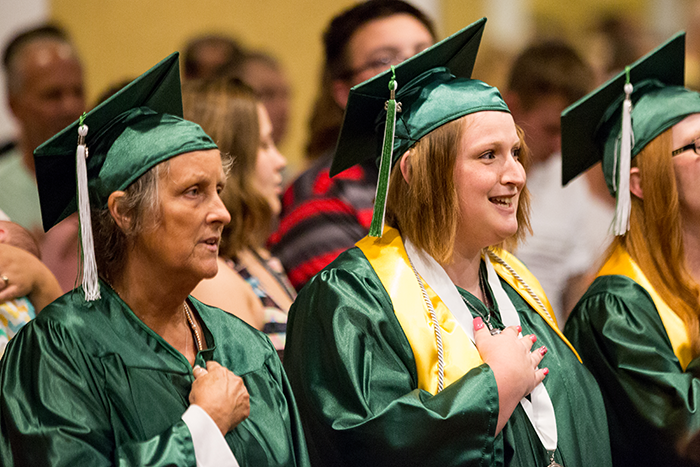 Students enrolled at The Excel Center can also earn free college credits and industry-recognized certifications. 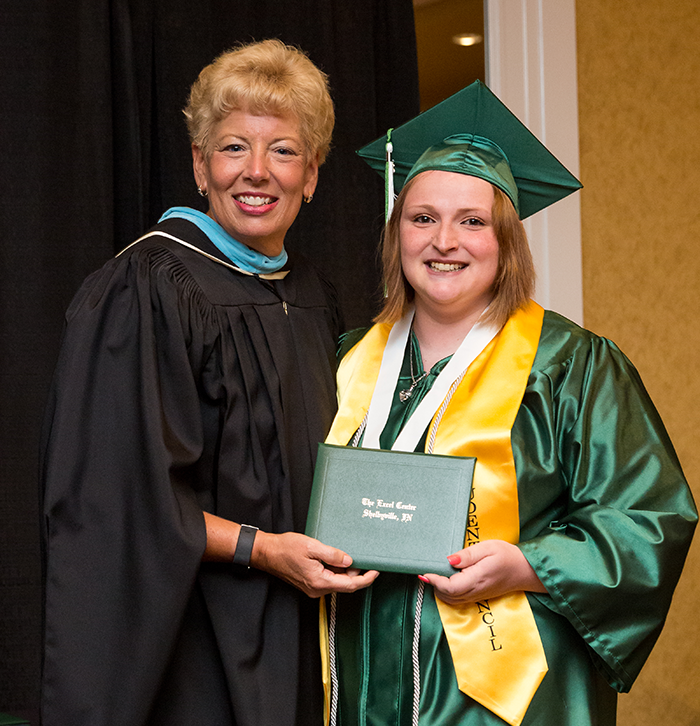 In June 2018, Mercedes Cantrell, 22, graduated from The Excel Center in Shelbyville with a high school diploma. A mother to a young son, Cantrell now looks toward the future with hope. 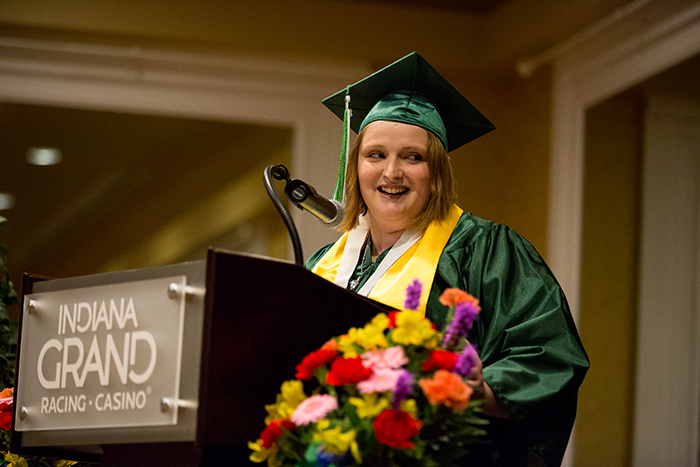 Read the speech she gave during her commencement ceremony below to learn more about her story. “There comes a time in a person’s life when he or she thinks it’s okay to stop trying and just give up. I had that time. I quit high school without hesitation when I was halfway through my sophomore year because I had given up hope on everything. “Eventually, I heard that The Excel Center, Goodwill’s high school for adults, was going to come to Shelbyville. I said I was going to start as soon as the doors opened, but I didn’t. I put it off because I was still in a negative mindset, one of just not caring. “Then, I became a mother. It took that change in my life to push me to return to school so that I could make a better life for myself and my son. “Today, I stand here prepared to receive my diploma, something I thought I’d never have a second chance to get. I can now say that I did what seemed impossible and that I am proud of myself and who I have become. “I’ve grown to love every staff member at The Excel Center in Shelbyville, and I’ve seen all of their hard work and dedication to this program. I can’t thank this staff enough for all of the time and hard work they devote to our school daily. Thank you for always listening to me when I need to talk and for helping me in any way you can. You are all a blessing to have in my life. Thank you, math teachers, for making math not so dull and lifeless. To my school director, thank you for making this day possible, not only for me, but for all of us who at one point in our lives gave up hope. If it weren’t for you and Goodwill, none of us would be here today saying that we have achieved this milestone. “I also want to thank my mom and family for helping me with my son and never once giving up hope for my future. They have pushed me to be a better person than I have been in the past. I hope I have made my dad and grandmother proud, too, because even though they couldn’t be here today to see me walk across this stage, I feel their presence in spirit and heart. “Fellow graduates of the Class of June 2018, we did it! May we always remember what happens when we renew our hopes instead of giving up on our dreams!